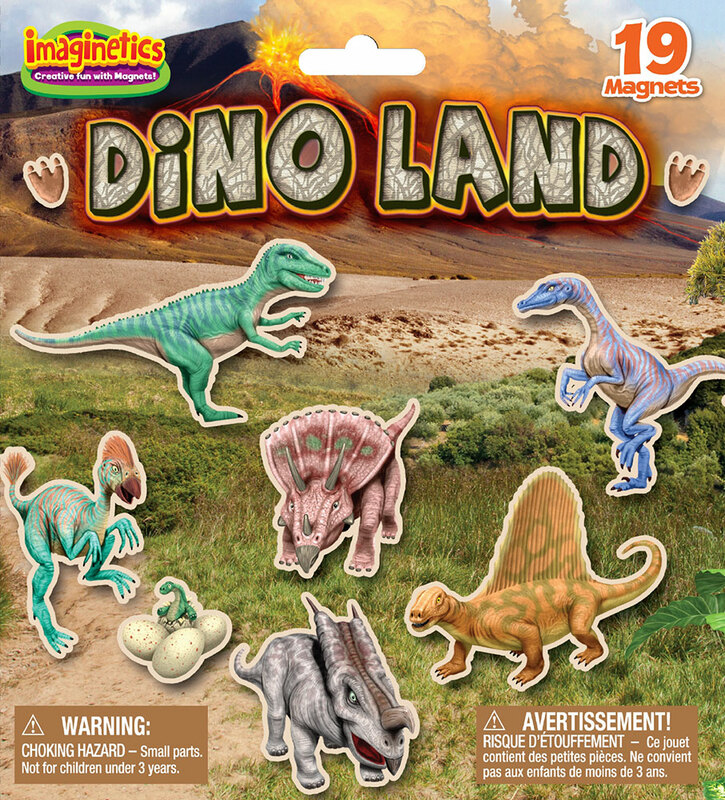 Create stories and scenes with dinosaur magnets and a volcano backdrop. 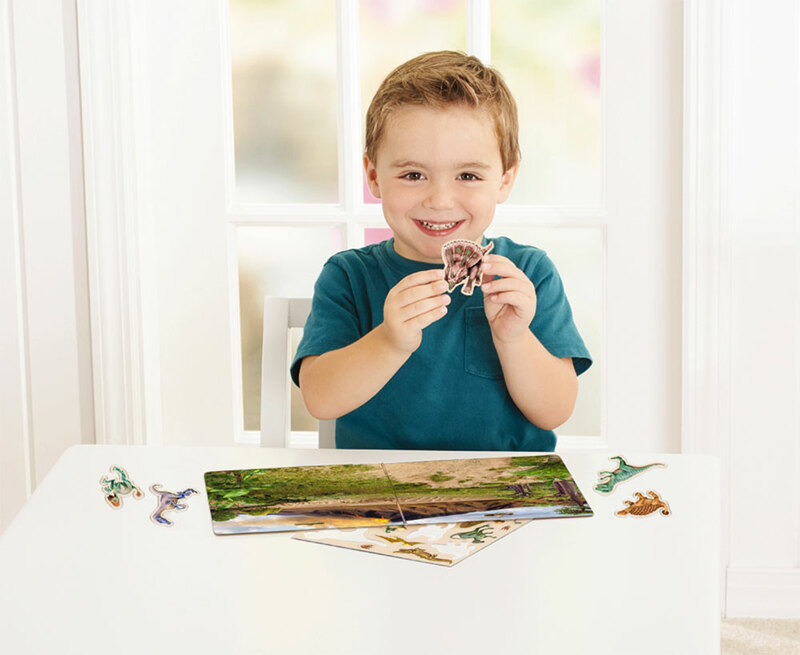 Contains one play board and one magnet sheet, which includes 19 individual magnets. 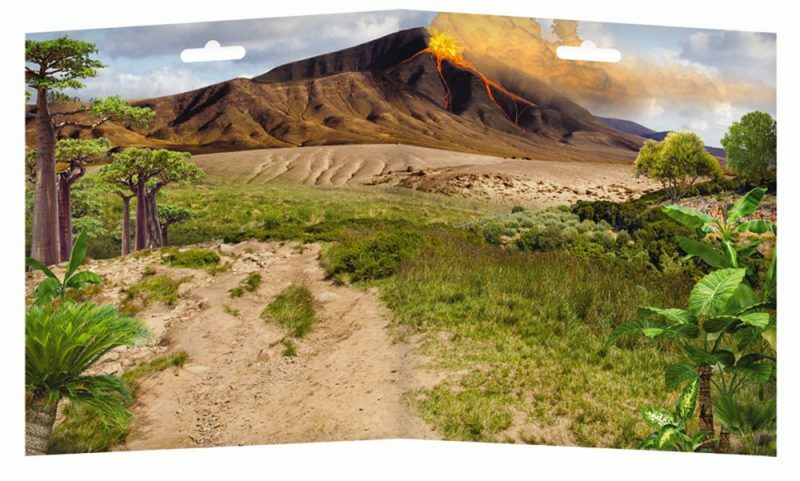 Open play board measures 14½” x 8″. 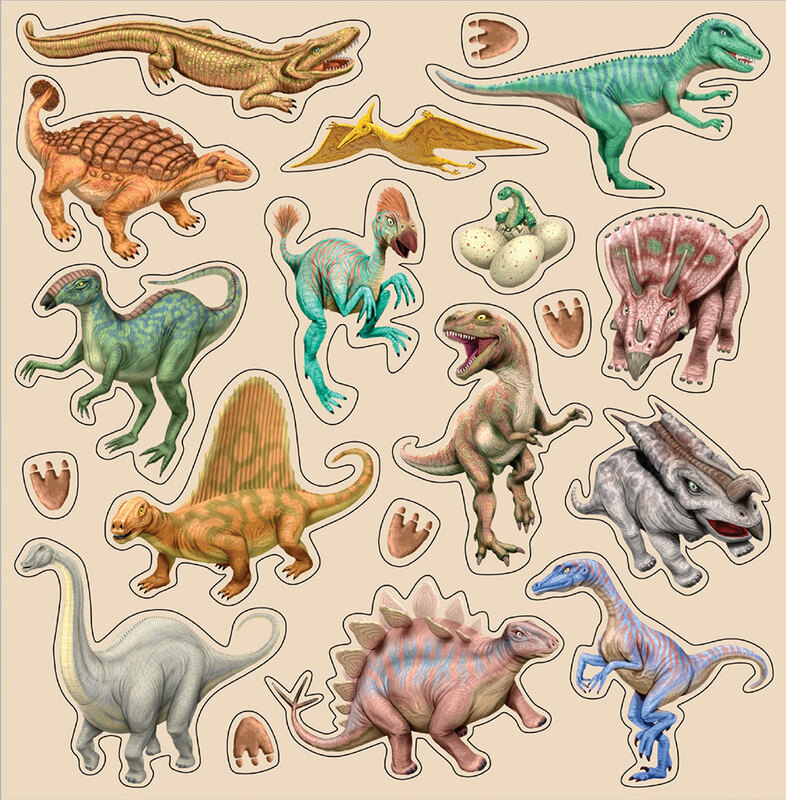 Categories: Dino Toys, Plush & Merch, Puzzles, Games & Kits.